In honor of Black History Month, the Alzheimer’s Association recognizes African-Americans who have helped lead the fight against Alzheimer’s. These Champions have furthered research for prevention and a cure; made strides in care and support; and raised awareness of Alzheimer’s disease. 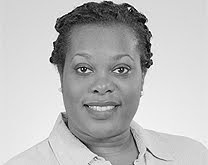 Warachal Faison, M.D., is a geriatric psychiatrist currently serving as a medical director in Neuroscience Primary Care at Pfizer Inc. For more than 15 years, she has studied the impact of Alzheimer’s disease on the African-American community, including minority recruitment for clinical trials. Dr. Faison, a proponent of community education and active discussion, is participating in the upcoming Alzheimer’s Association Diversity Dialogue during the Alzheimer’s Action Summit in Washington, D.C. March 7-9.